With all highly priced models in the market, listening to the music is at times considered a luxury. 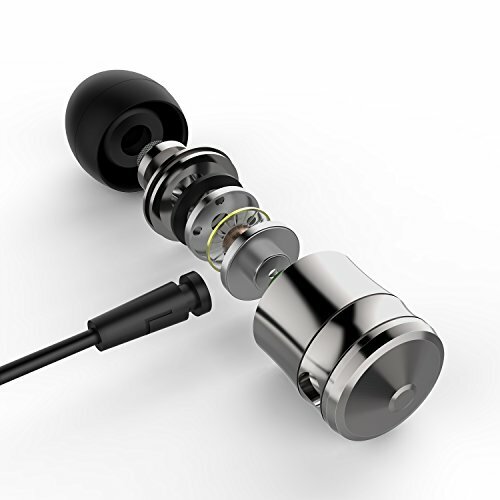 AILIHEN didn’t agree, and they released AILIHEN M10 earbuds. M10 is recommended for a variety of things, but thanks to its’ durable construction, they are an ideal pair of headphones you want to take to the run. Considering that the price is on the lower-end of the meter, we didn’t have high expectations. Anyhow, we decided to take a shot testing them and saw their true value we would like to share with you. 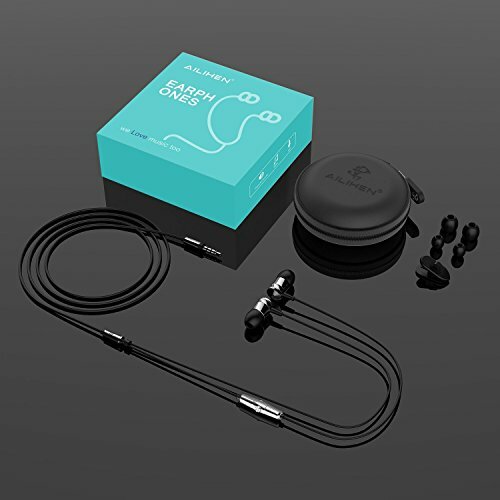 Aside from the impressive soundstage and build, there are more features everyone who is looking for a pair of earbuds should take a look at. Wired headphones, especially for sports, aren’t everyone’s cup of tea. However, M10 sports an intriguing set of features, making it well-worthy to its’ competition in the range. The silicon earbuds fit naturally to the ear and lock the rest from the environment from your ears. Sometimes, with good planning and construction, active noise cancellation technology isn’t an essential feature. 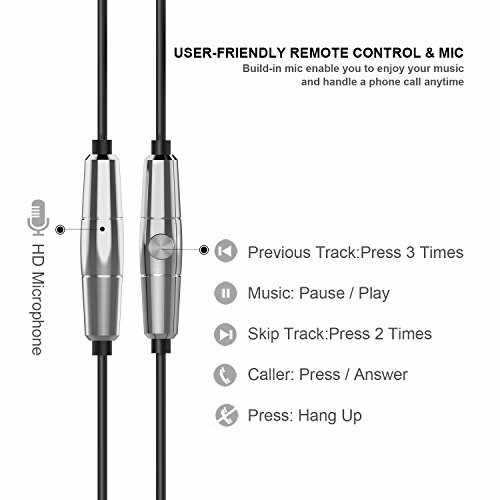 Lacking active noise cancellation, the earbuds aren’t surrounded by the inline microphones which return the outside noise back to the environment. Instead, the silicon cushioning that goes into the ear canal provides a sufficient protection from ambient noise and let us focus on their sound capabilities. Unfortunately, M10 can’t completely isolate you from the noise. Hence, it is recommended to listen in the isolated rooms, away from loud people. Still, they should eliminate the sound of cable flapping against your body while you are jogging and at least efficiently lower the annoying sounds of gym devices. The vast majority of the sports dedicated headphones are wireless. Manufacturers that deliver wired pairs of headphones must ensure that the cables can withstand small to moderate abusing. Not saying you should smash your headphones, but every once in a while, you will accidentally pull your cable and damage the headphones. Equipped with a braided cable, M10 has an extended lifespan. A firm and durable fiber cover the copper wires, securing them from the unintentional damage on the headphones. The wire is made out of copper and is firmly protected by the fiber. Furthermore, TPE and a layer of nylon make it fixed in one position for ensured security. M10 is equipped with a 3.5mm plug for connection to all smartphones, tablets, laptops or speakers with this adapter. It’s worth mentioning that there is a microphone within the inline controls that are compatible with either Android and iOS devices. 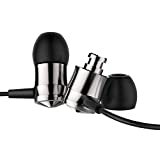 Usually, the manufacturer makes two pairs of same headphones suitable for each model. M10 is the exception, the microphone will work and connect to a 3.5mm adapter regardless of the device. The features sections of M10 is modest, although cost-friendly. We don’t see some crucial features on these headphones, though we will all agree that what they provided us with is more than usual. M10 was strategically designed. We were surprised to be embraced with the metallic build and offered such sturdiness and durability. That being said, let’s hop to the rest of the section. Headphones weigh 4 ounces (113 grams). Surprisingly, they are slightly heavier compared to its’ very competition, but not enough heavy to the weight you down. Aside from hearing good music, it is important for us to successfully wear the headphones for hours without noticing. You will easily achieve this effect with M10. We already mentioned the sound isolation, which exists thanks to well-filled silicon earbuds that comfortably close the ear without hurting the canal. Furthermore, their shape won’t scratch your ear or make it red, hot, or sweaty. There are three pairs of earbuds to ensure that they will fit even on the larger, and super-small ears. While testing, it pleased us that the earbuds won’t fall out, even during the most intense jogging. CNC, the engraved design proved itself worthy on this model. This is not the most lightweight model in the competition. However, its’ futuristic build and inline controls, along with earbuds covered in aluminum alloy, make it look more expensive and powerful. Overall, the build quality is good and reliable. The aluminum build is exactly what a pair of headphones housing 10mm drivers need to preserve the high-quality of music and lower the harmonic distortion. A black, disc-shaped storage case is there to protect your headphones while you are on the go. We didn’t experience any problem with the storage so far. The headphones were tucked into the case, just the way we left it before we went. Impressive build quality and overall design give AILIHEN M10 a high place among the raging competition. We were most surprised that it didn’t feel uncomfortable to wear given the unsurprisingly high weight. Considering that the competition headphones managed to weigh less even with the aluminum build, M10 earned 4 out of 5 stars. Stellar is what describes the performance of M10. We put it through different tests that include different genres and testing on different volumes. Another peak of M10 is the innovative and, at first confusing, inline control that took us some time to figure out. Let’s dig in! ALIHEN M10 sports 10mm Neodymium drivers in each earbud. In combination with consistent and reliable noise isolation, headphones produced a reliable audio output. The mid and treble were loud, clear, and detailed. Switching the genres, we could hear and feel the more comforting depth in the instruments and vocals. The bass is good too. 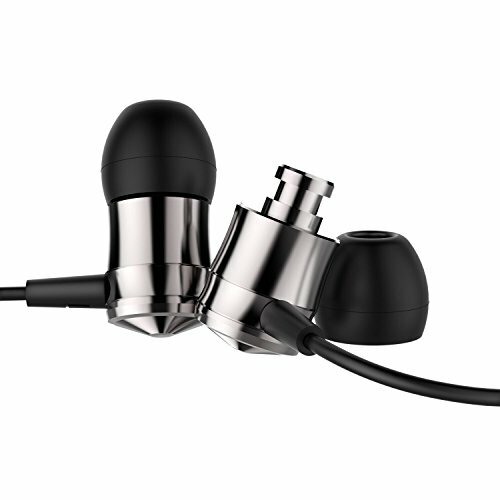 However, earbuds such as M10 hold small drivers that can have a harder time regulating something so punchy as bass. Despite the metal housing, we could feel the slight interference and distortion, although very minimal. When you listen to genres such as rock and electronica, you might spot the difference in the bass dominance. Still, there’s less chance of hearing that if you are not paying attention. Housed inside the aluminum alloy that looks glossy and gives headphones the futuristic and innovative reflection, there are the inline controls and microphone. Only one button might confuse you, as it did us. Still, it is equipped with everything a high-end inline control should have, with only one button whatsoever. This one button is in charge for everything. You can use it to play and stop the music. It is very responsive and you can do it immediately. It can also make and answer the calls only with one click. It works fast and reliable, promising a completely hands-free usage in order for the user to focus on the workout. Don’t worry, you can switch the tracks with the click of the button two times. If you want to listen to the previous track, click the button three times. This feature might appear unappealing and quite annoying. Rest assured that manufacturer made sure to make it top-end reliable. The quality of the microphone is good. A receipt will hear you clearly, loudly and free of lags. The microphone might meet difficulties eliminating all the background noise. Still, it is a consistent tool, useful for making clear calls with your friends and family. The one-button inline control is slightly confusing. Also, the bass might be too overwhelming. We can’t mind that too much, considering the budget and the size of the drivers. M10 earned a strong 4.5 out of 5. For many of us, music is the fundamental encouragement when we workout, study, travel or do anything in particular. Unfortunately, not all of us can take that steep step in providing ourselves with the top-end headphones, in terms of pricing. M10 is a pair of headphones that will suffice even the strictest audiophiles who are restricted on their budget. 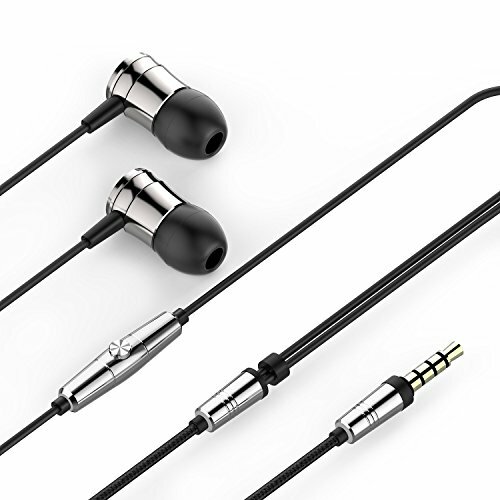 Nowadays, it is hard to find metal-built headphones within this price range. They offer comfort, convenience, reliability, and superb and detailed soundstage. Most definitely, they are worth a try. On top of everything, they are compatible with both Apple and Android devices, offering a great range of compatibility between tablets, phones, laptops and more. AILIHEN M10 appeals to all music lovers who can’t afford headphones above $50. They don’t win any rewards for the futureproofed features, but they are a great and consistent pair of headphones, suitable for every need, especially workout. ALIEHEN M10 is a budget-friendly pair of sports dedicated headphones with mesmerizing sound performance. Although they are wired, they are comfortable to wear and have a highly durable cable that prevents the malfunction. They are compatible with both Android and Apple devices and more importantly, they sport a dedicated microphone with vast clarity. The sound performance is impeccable. However, the bass could be more balanced with the rest of the soundstage.